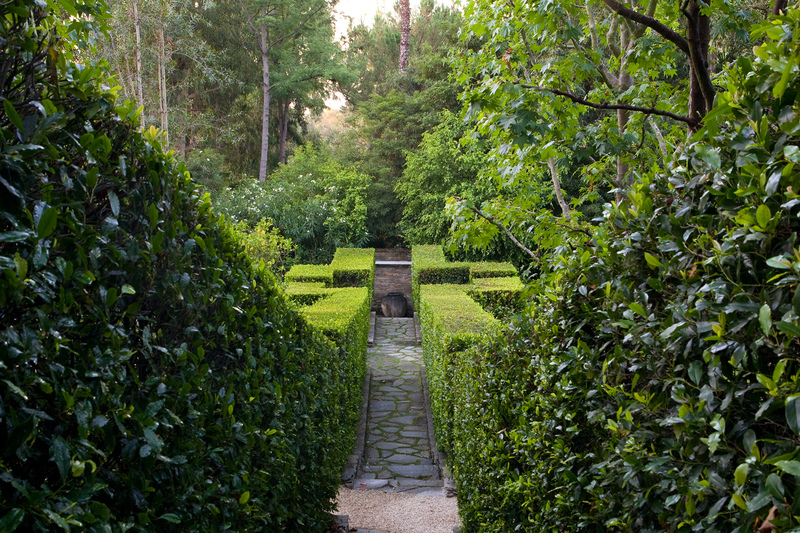 This garden is based on a series of outdoor rooms, linked by an axial, stepped walk. 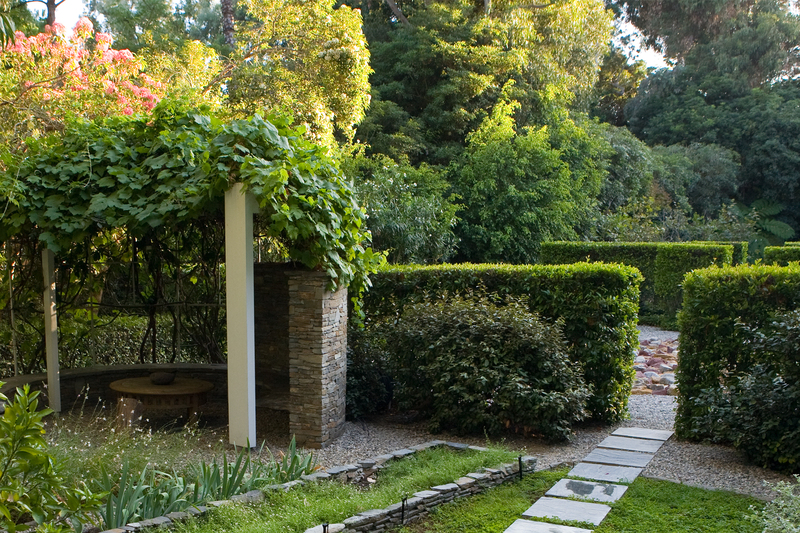 The walkway is bordered on both sides by symbolic representations of mass and void; the "void" of an empty lawn room, and the "mass" of a citrus orchard. 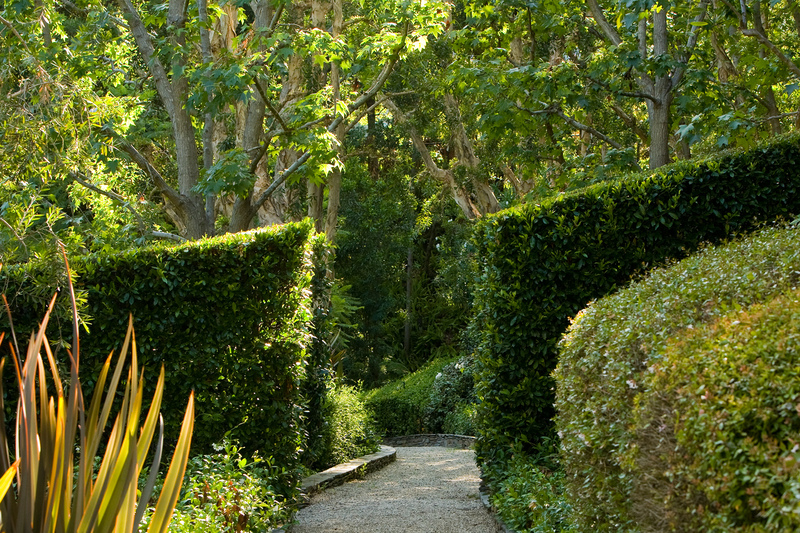 The hedges that define the walk are formed from native California plant material, Prunus caroliniana. 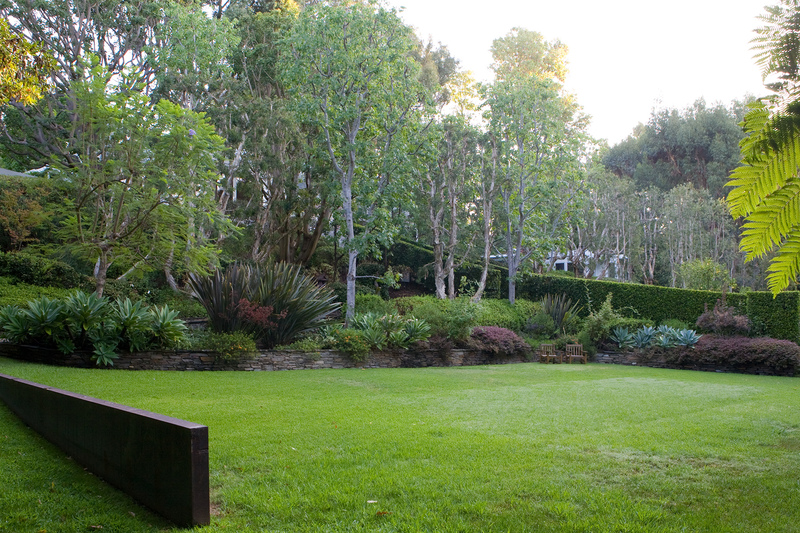 The owner was involved in modern art and served on the board of trustees for the Museum of Contemporary Art in Los Angeles. 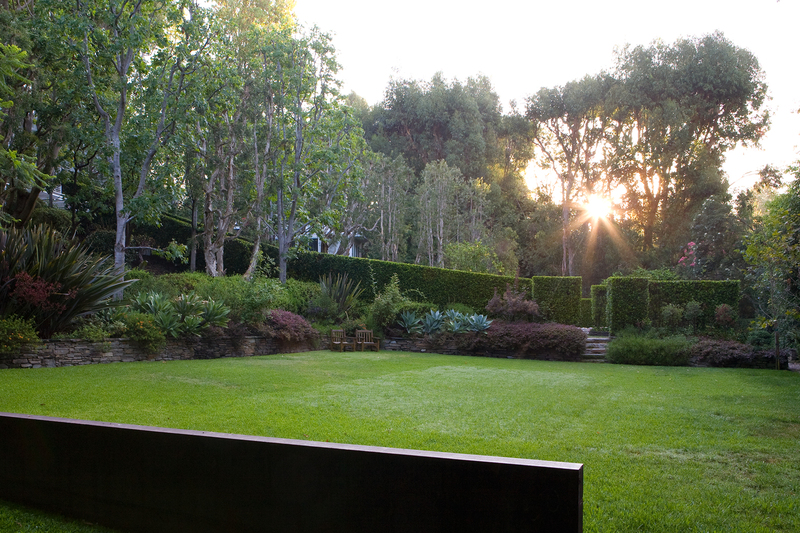 The garden has gradually become a sculpture garden; the citrus orchard has been replaced by a Richard Long sculpture piece, and the void of the open lawn is bordered by a Richard Serra piece of steel. 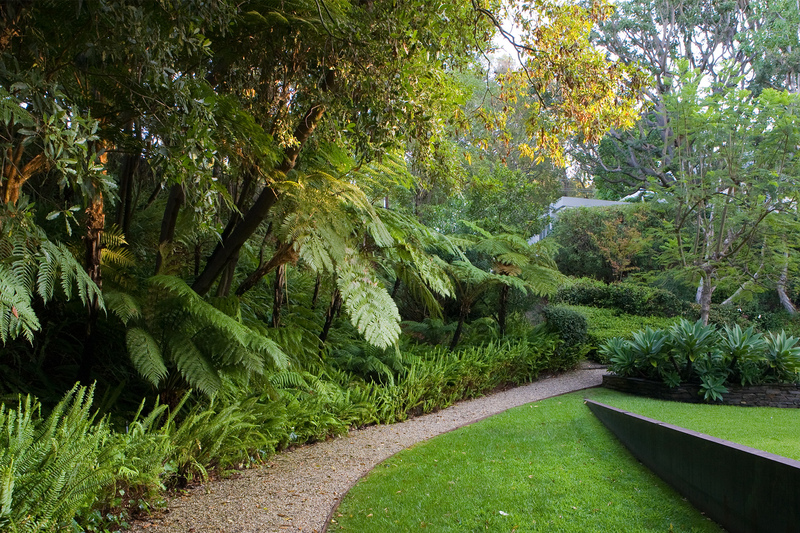 Another side of the lawn is bordered by Camphor trees and a walkway. 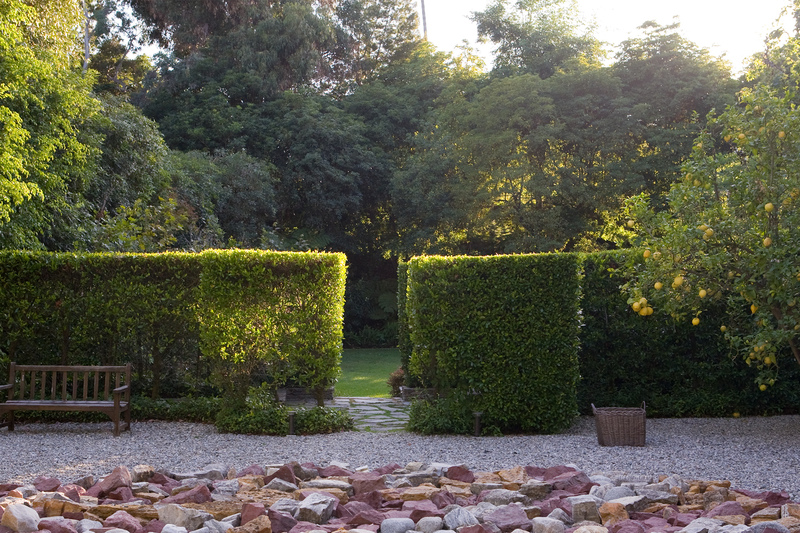 A courtyard at the back of the house uses randomly shaped paving stones to form a perfect square around an existing Coral tree, which looks out over the garden below.